More information about Translating Myth is available on this site. This is the webpage for Translating Myth, an international conference held at Firstsite, Colchester, in September 2013, and organised by the Centre for Myth Studies at the University of Essex. This site is no longer updated. 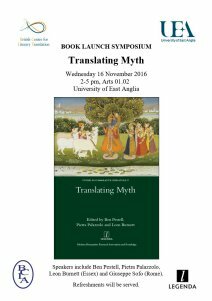 Click here for current news from the Centre for Myth Studies, including information about the book, Translating Myth.